Eclat d’Arpège is classified as fruity-floral. Lanvin revives the musical theme of his legendary Arpege perfume. The composition is delicate, fragile ..
First introduced in 1882, Fougère Royale completely revolutionized the world of perfumes and established modern perfumery as it exists today. Fougère ..
Terre d`Hermes Parfum by Hermès is a Woody Chypre fragrance for men. 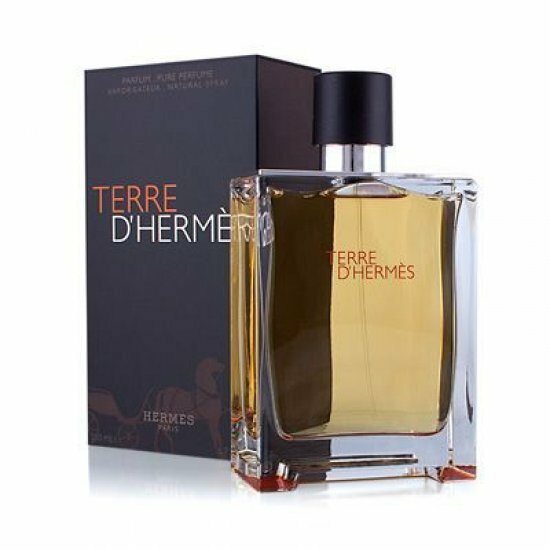 Terre d`Hermes Parfum was launched in 2009. The nose behind this fragrance is Jea..
Idylle is the latest creation by Guerlain for mainstream distribution, introduced in September 2009. It has been created by Thierry Wasser and it is t..
24 Faubourg: this perfume of light, composed by Maurice Roucel in 1995, is a Hermès signature right down to its bottle – the square glass is gently cu.. Introducing pure sophistication and lushness in a 100ml bottle - the L'Ambre des Merveilles by Hermes for Women Eau de Parfum. This warm and alluring ..
24 Faubourg Eau de Parfum Edition Numero 24 by Hermès is a Chypre Floral fragrance for women. This is a new fragrance. 24 Faubourg Eau de Parfum Editi..
Eau des Merveilles: from surprise to magic and from magic to enchantment, Eau des Merveilles wraps us around its finger on a cloud of fancy. Imagined ..